The Tozer Seed’s runner bean breeding programme is the most extensive anywhere in the world. We have created a new generation of varieties with improved pod set, smoother fleshier pods, reduced string and enhanced flavour. Moonlight (white flowered) and Firestorm (red flowered) are excellent examples. 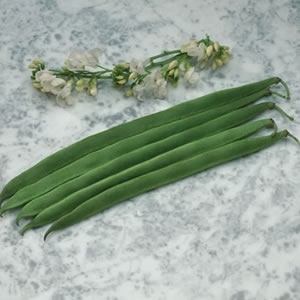 This work has essentially re-invented the runner bean for a wider range of consumer, although we still work to maintain and improve our traditional runner bean types such as White Lady Emergo – Snowy. 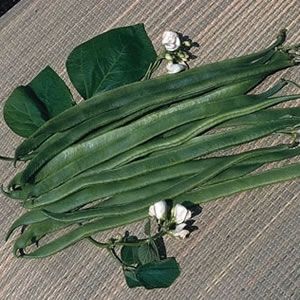 The culmination of many years of breeding work, Moonlight is the earliest variety of a new line incorporating the genetics of climbing French bean types. This gives Moonlight all the flavour of a runner bean plus the potential for some self-pollination. The pods produced are very smooth and fleshy and approximately 25cm long. Our own reselected and improved stock of this universally grown, white flowered variety. The pods are 24 to 28cm in length, smoother and better quality than other selections on the market. It performs and yields very well under higher temperatures, making it a good variety to grow in Africa and in the ever increasing temperatures of the British summer. A white flowered variety with longer pods of up to 30cm. 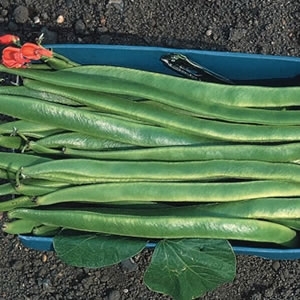 Snowstorm has vastly improved set and eating quality compared with traditional runner beans, as a result of the incorporation of French bean genetics. Great texture and very smooth pod finish. 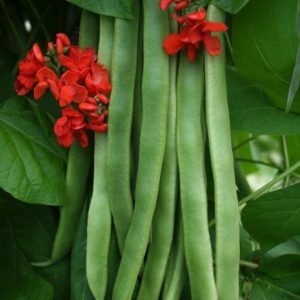 This is one of the best tasting runner beans available. 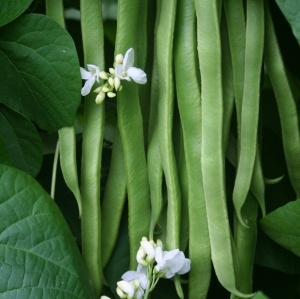 White Lady gives a high yield of good quality 28-30cm long smooth pods, with little fibre and a good snap. The first red flowered stringless variety with bright green, smooth, fleshy pods, 25 to 28cm in length. Its excellent eating qualities make polestar an ideal variety for market and farm shop work. 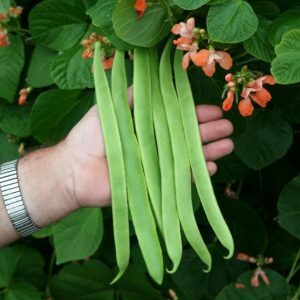 Our first red flowered runner bean variety produced as a result of our innovative cross between a runner bean and a French bean, Firestorm easily sets huge quantities of top quality 25cm pods. 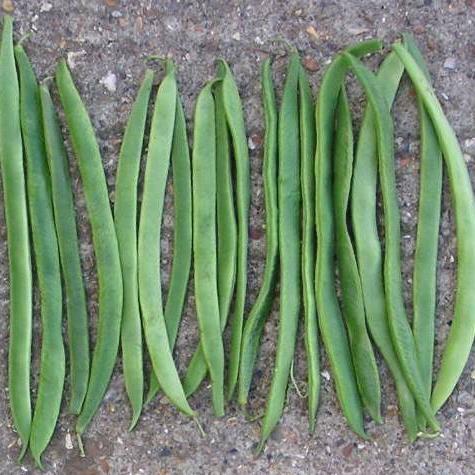 Producing large yields of slender, smooth, straight pods of good colour, Aintree’s excellent flavour makes it a very popular variety. The pods are 25 to 28cm in length but can be longer if grown with high inputs. It sets well, even in higher temperatures. 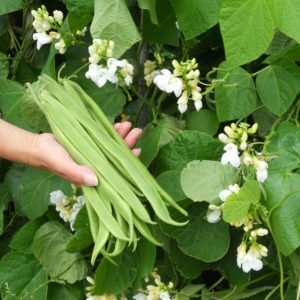 Salmon pink flowered runner bean Celebration not only looks attractive but is a very heavy cropping variety. With high quality pods of 25cm it is ideal for the pre-pack market.